While many businesses overlook the importance of web design, the truth is it can make or break your marketing campaign. Studies have shown 75% of people judge the credibility of a business based on the design of their website. With credibility directly linked to how likely people are to purchase, it is extremely important to ensure your website reflects a legitimate and trustworthy business. It is our goal to help your business create the right impression and convert your website visitors into paying customers. Our web designers from Melbourne and Adelaide are highly experienced in the industry and put their best conversion methodologies to work to produce effective, lead-generating websites. What sets us apart from our competitors is we provide a fully managed solution. Unlike other companies, we provide support during and after the website build. Our website builds are hassle free as we take care of everything and provide a comprehensive service. From the most basic brochure website to the e-Commerce design, we do it all. Smart phones are like an extension of our body, with many people carrying them around everywhere they go 24/7 – even to the toilet. Since the iPhone was introduced in 2007, the way we search has dramatically changed, with 75% of all searches now performed on a smartphone or a tablet. With this shift in they way people search, it is essential to have a mobile responsive website. 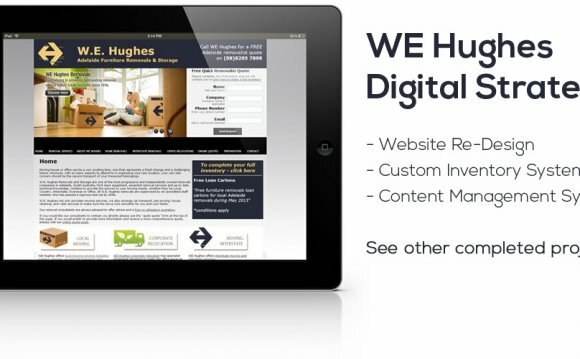 All of the websites we build are mobile responsive and can be viewed on any devices including, smartphones, tablets, laptops and desktops. Content changes are needed from time to time to keep content fresh and current. This is why we incorporate content managements systems (CMS) into our websites. After some simple training for our developers who are CMS specialists, you will be able to make quick and easy changes to text within your web browser. A marriage between design and technology is essential when producing quality websites. Our developers, web designers and graphic designers from Melbourne and Adelaide work together to create websites that not only look great but work across a broad range of computer systems and softwares. Every website we build is standards compliant and with a clean, creative and logical design. Online shopping is booming with Australian’s spending over $14 billion online last year. Rather than opening up a new shop, why not open a virtual one online? Whether you want to simply accept payments from clients or set up a large store featuring hundreds of products, it’s up to you. We build e-Commerce websites specifically designed for your business’s individual needs. Content is king in the cyber world, making it an extremely important aspect of your website. To retain visitors on your site, we have a team of highly experienced copywriters that create content that is interesting, fresh, informative and search engine friendly. In order to write great content, our copywriters liaise with you to get an understanding of your business. They also analyse the industry you are in and analyse your competitors’ websites. If you are interested in finding out more about our web designers in Adelaide and Melbourne, contact us now.